Few things make me feel more alive than being near water. I love almost all bodies of water…streams, lakes, waterfalls, even a pool will suffice when it’s my only option. But the one body of water that fills me like no other is the ocean. The ironic part though, is that I didn’t even realize this until I moved away from it. I grew up in Hawaii and as hard as it is to admit it now, I didn’t overly love the ocean, or more specifically, going to the beach. What I mostly remember is that my mom loved to bake in the sun. She could lay out for hours at a time while her olive toned skin turned shades darker with each passing hour. I, on the other hand, did not inherit that golden skin and therefore got burnt on one too many occasions, despite the sunscreen she would lather on me. But not all of my memories of the beach leave me feeling burnt. I remember having impromptu dinners while watching the sunset on the oceans edge, camping, and kayaking. But like so many other things in life, you never truly know what you have, or how much you love what you have, until it’s gone. This was my realization when I moved to Northern California and the ocean wasn’t at my fingertips, or within my eyesight, like it was in Hawaii. I now had to drive almost 2 hours to get to the beach, and at that, it was nothing like the pacific I was used to. If you didn’t hit it on the right day, you’d better be prepared with jeans and a sweatshirt because you’ll freeze otherwise. And don’t even think about swimming. If you thought the air was cool, you can’t imagine what the water is like. Honestly, I couldn’t understand why anyone would want to go to the beach in those conditions. But then I got older, and wiser, and realized that the beach and ocean I had grown up with in Hawaii, didn’t exist where I was now living. So really, I couldn’t compare the two. 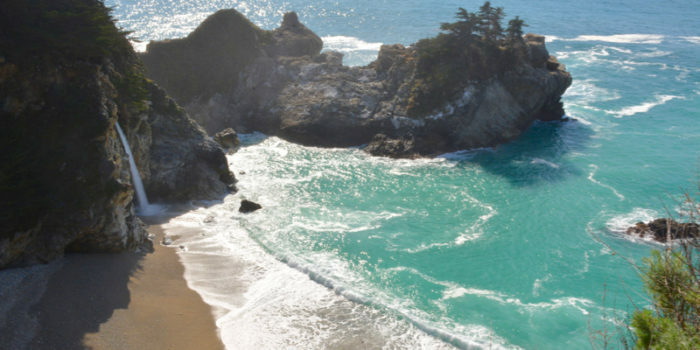 I realized that the coast in Northern California had a beauty that was to be appreciated on it’s own. I also learned the best times of year to go, for the weather that I like, which is warm and sunny. But perhaps one of the biggest things I realized was that when I’m feeling overwhelmed or stressed out, being at the oceans edge can take all of my worries away, even if for only a day. 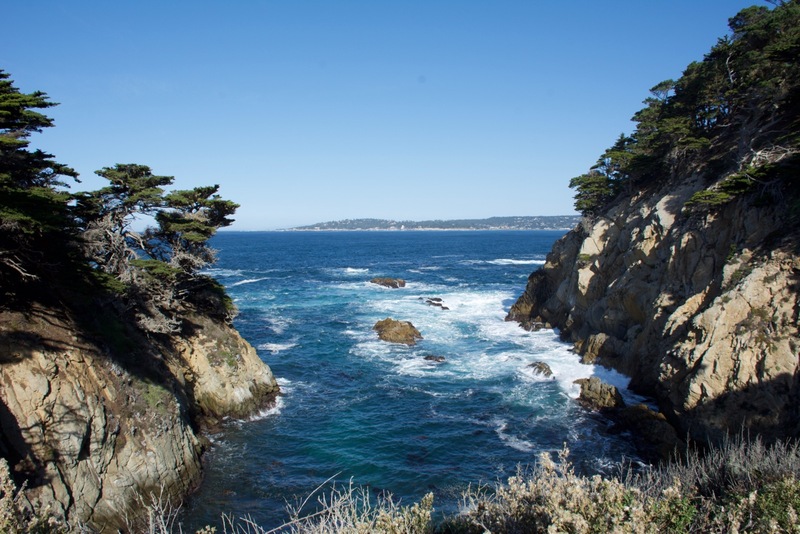 One location that we go back to time and again is Point Lobos State Natural Reserve, in Monterey, CA. It is truly stunning and breathtaking! 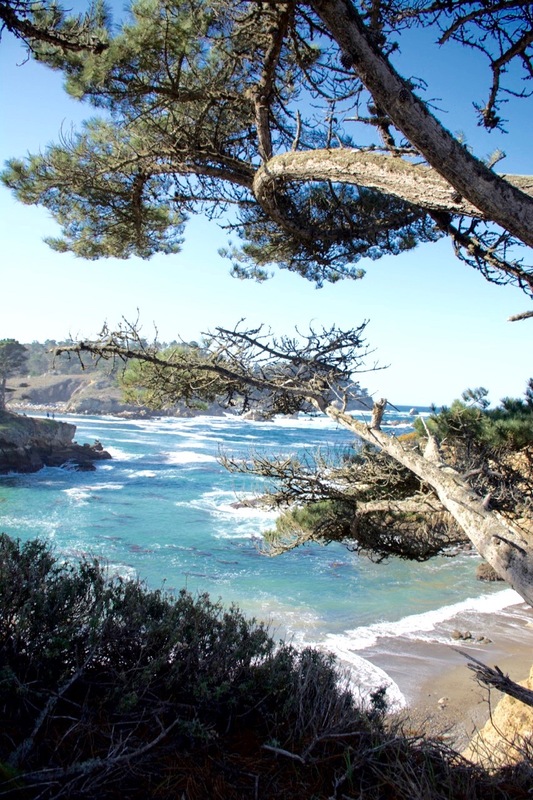 There are well maintained (easy) hiking trails throughout the park that allow you to walk the oceans edge, breathing in the salty sweet air, while listening to giant waves crashing in the distance. 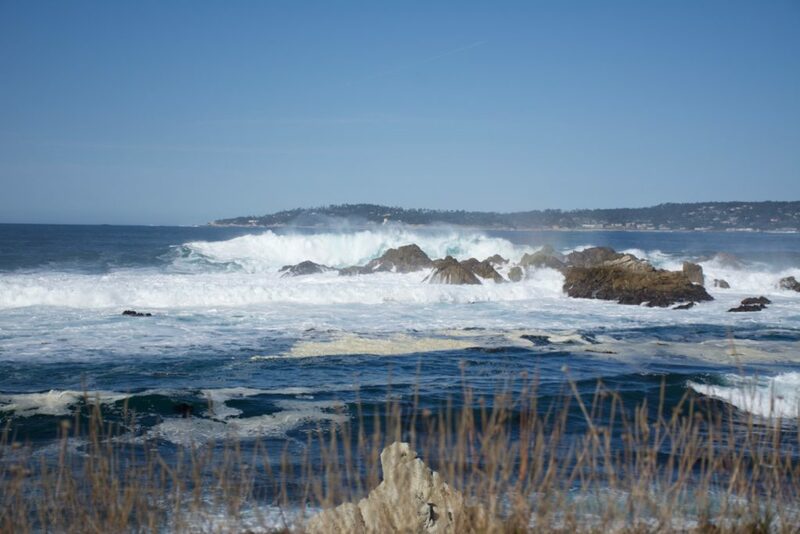 And you are almost always guaranteed to see some form of ocean wildlife, be it sea otters, sea lions, harbor seals, elephant seals, whales, or dolphins. And don’t forget about the birds! 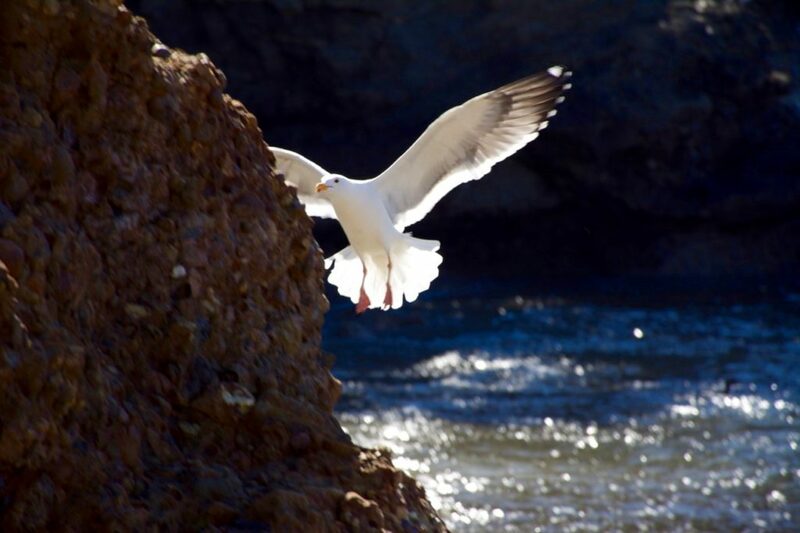 Those often overlooked and sometimes pesky seagulls have a beauty of their own when they’re in this element. 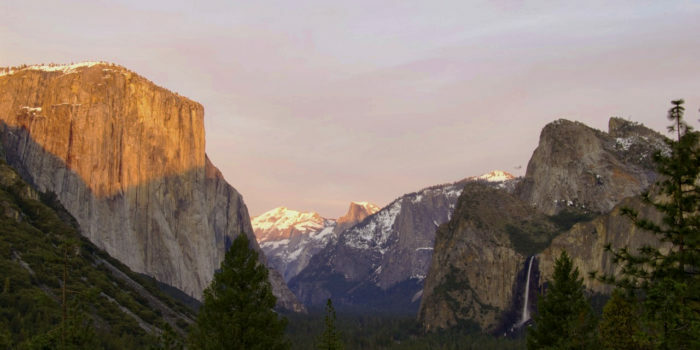 If hiking isn’t on your agenda, you can drive parts of the park and still see quite a bit. But if you are able, walking the trails are worth each and every step you take. Pack a picnic and spend the entire day there exploring. And don’t forget to sit on one of the benches along the way, or on a bluff overlooking the water and just take it all in. It is in these unhurried moments that you will be able to truly absorb the beauty around you. 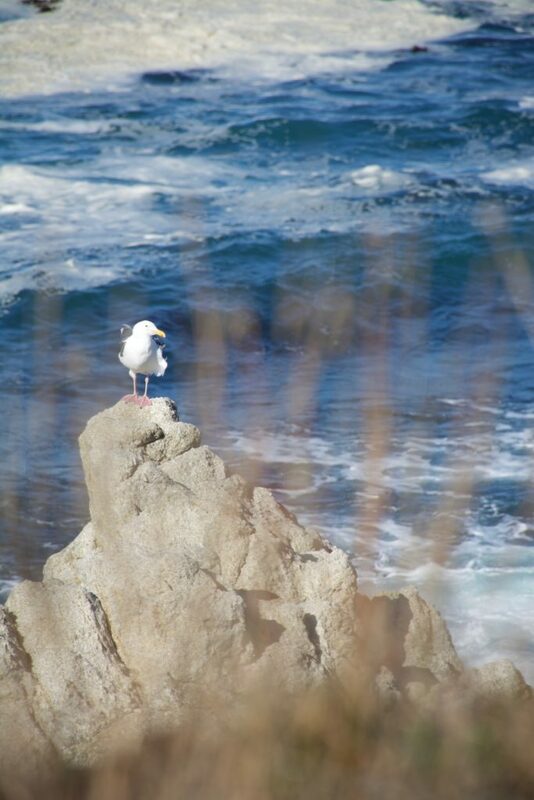 Point Lobos State Natural Reserve is a treasure that all should enjoy. If you live in the area or are planning a visit to Northern California, please make time to go. You won’t regret it. And I’m willing to bet that when the day is done, you will feel just as refreshed and renewed as I do each time that I go. The trails are very well maintained and most of them are quite wide, but caution is needed as there is quite a bit of poison oak along the edges. If you are visiting with small children, make sure they don’t veer off the path. But don’t let this stop you from going. My husband is highly allergic but has never gotten poison oak here. Major hiking shoes are not necessary, but I’d recommend good walking shoes. You can cover as much or as little ground as you’d like by foot, but nothing is worse than wanting to keep exploring but you can’t because you have the wrong shoes on and your feet hurt. Don’t pass up the opportunity to explore the tide pools. You will be amazed at how much life those tiny little pools hold. But use caution when doing this. Make sure it is low tide. The ocean is powerful and you don’t want to be swept out to sea. Don’t forget to pack a picnic! 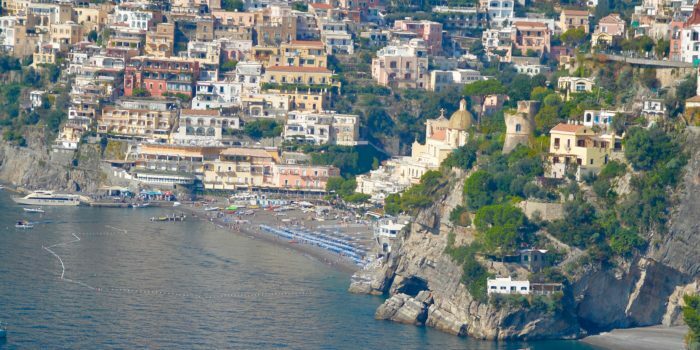 Restaurants with ocean views often command top dollar for mediocre food. Your views here couldn’t be better and you will have spent quite a bit less on your lunch than if you were to head into one of the neighboring cities for a bite.